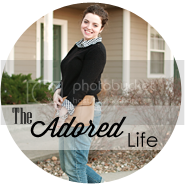 I've had the pleasure of getting to know Colbey, the talent behind Make Your Day Designs. 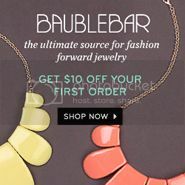 She creates beautiful step by step patterns that you can purchase online, and she also has finished products! Best of both worlds! 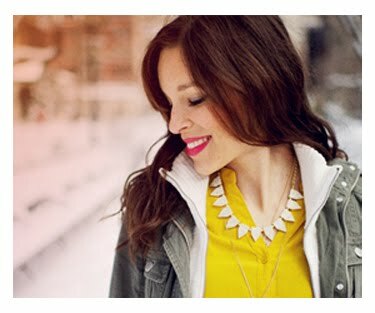 She has generously offered the beautiful Serendipity Necklace and Bracelet Set! Handmade by Colbey with Vintage Italian Buttons!! Isn't is STUNNING?! 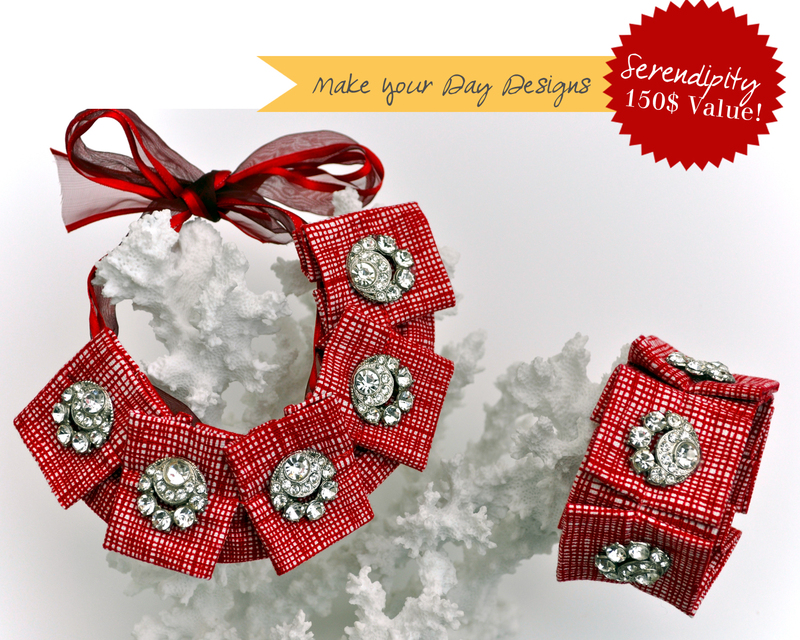 *example tweet: Just entered the Handmade Holiday #Giveaway to win the Serendipity Set @inhonorofdesign. lovely! I love the fly with me carry on, cute! I love the fly with me carry on, too! The bliss yoga mat and belt are sensational! The Serendipity Set is so gorgeous!! I love the Lucky # 11!! That fly with me carry on bag is awesome. The cafe apron is my favorite! So cute! Great giveaway! I love lucky #11!! Too cute!! That is so pretty! I really like that " Fly With Me" carry on! Wow what an incredible giveaway! Everything is so amazing! Such a cute giveaway! 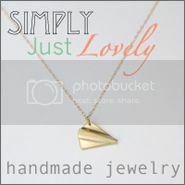 I love "Lucky #11"
I checked out Make Your Day Designs website and there are so many cute things! It makes me want to gift myself with Christmas presents ;-) Since I practice a lot of yoga I'd like the yoga mat & belt. Fingers crossed! love the clutch!!! Sad that it is sold out!